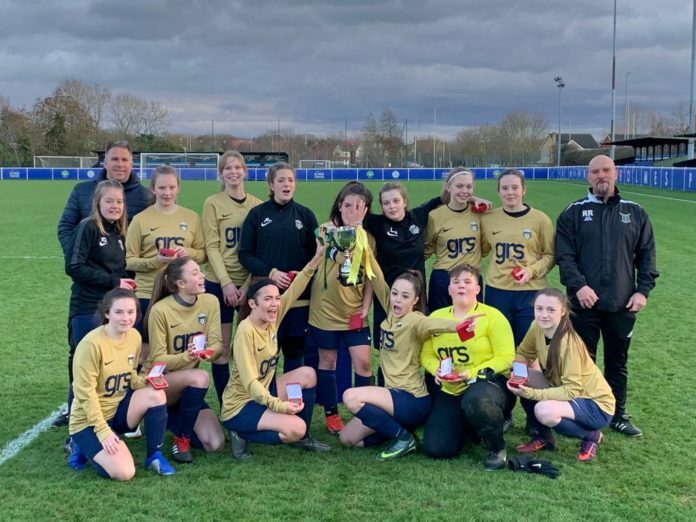 Our U16’s continued their unbeaten start to the season by winning the County Cup Final vs Allexton & New Parks at Holmes Park on Sunday afternoon. 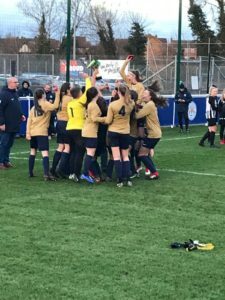 After the heartbreak of last years defeat in the U15 final the Team were determined to get their hands on the County Cup this time. Only one thing in their way the unbeaten Allexton & New Parks. The game was a closely fought contest Oadby & Wigston FC attack followed by Allexton counter – Allexton attack followed by Oadby & Wigston FC counter. The deadlock was broken with a long ball putting Allexton’s striker through on goal. 1-0 to Allexton at Half-Time. After the break Oadby & Wigston FC came out determined to turn things around. Winning every 50/50 and putting Allexton’s goal under increasing pressure. The equaliser eventually came from a cut back across the box for Neve to finish. The game ended 1-1 at Full-Time. Oadby & Wigston FC chose to shoot first with Brooke ready in goal.